Meiji microscope closeout special. 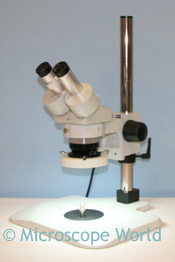 While supplies last, this Meiji microscope system, including fluorescent ring light is $699. High quality Japanese optics. Your choice of 10x, 20x, 30x or 40x magnification. Order online here.